Have been putting the MX Sport through the paces the last couple of weekends. Both wet and dry hunting. I've been going back over my old sites to see if it Id's anything I've missed, and also trying out the schools and playgrounds to get to know it. So far, so good. Have been really happy with it in the bark chips and the 7" coil. Holds it's own on open ground, but the V3i's additional adjustments certainly are desirable to optimize performance and limit noise. 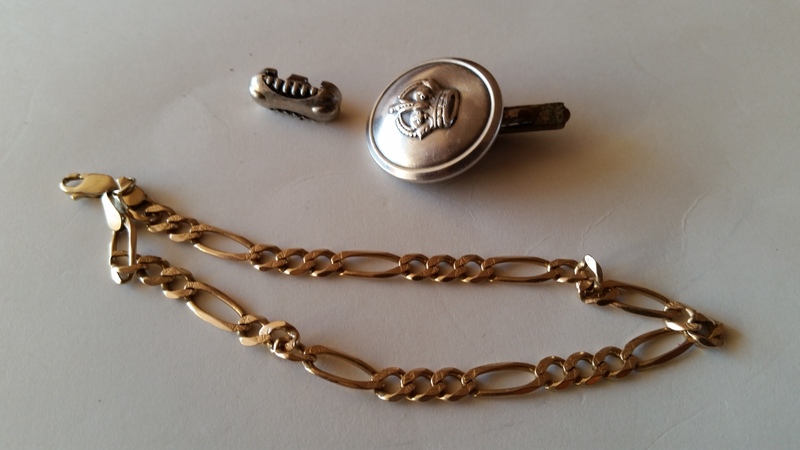 Have managed ~ $10 in clad, 4 wheats, 1 IHC, 1 silver Rosie, a silver cuff link and a 14k bracelet. Not too bad for <20 hours on the machine. Love that the bracelet rang up a solid 0 vdi, but much louder than foil when pinpointing - how many of those do we all walk over in the field. Gotta love those tot lots!